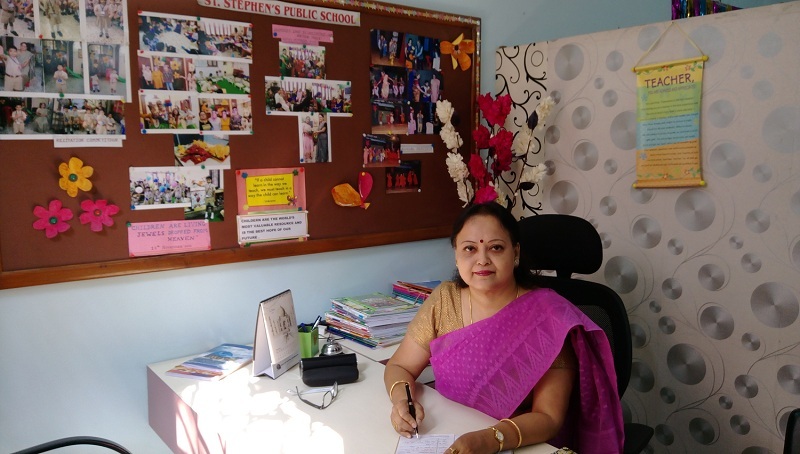 St. Stephen’s Public School, Salt Lake, prides itself of delivering the best primary and nursery school education to the future citizens of India. We believe in the strength of resilience, trust and care for the community. At St. Stephen’s, we strive hard everyday to be the best school in Salt Lake. We are a team of highly experienced staff members and professionals from various walks of life. Such a talented background and expertise help us to stay determined in our mission to provide the best education to the children of the society. We promote free-thinking and well as encourage an open and broad-minded atmosphere. We, at St. Stephen’s Public School, aspire to find a perfect fit between curiosity and imagination such that it inspires the young ones to excel without any prevention. We help our students to grow into delightful and responsible citizens of tomorrow with feelings of love, care, affection and teamwork. On your road to becoming the best primary and nursery school in Kolkata, we strive to inculcate confidence and readiness in our students to face every hurdle and challenges they might face in life. Along with the daily lessons, we provide practical examples that our students that relate to. We encourage them to be interactive so that every question they have is answered and they are contented with a wholesome education. We offer arrays of extra-curricular activities that encourage our students to care for each other, the environment as well as themselves. We intend on keeping a small teacher-to-student ratio so that every child gets undivided attention and is looked after with utmost care. At St. Stephen’s Public School, we welcome the parents and guardians to support us on our journey to provide the best educational services in the city. With their help, our children can be high achieving and mature citizens of India. I encourage everyone to come together and make St. Stephen’s Public School, Salt Lake, the best experience for our children and to provide the best education to them.